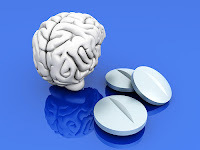 Four atypical antipsychotics that are commonly prescribed to adults over age 40 were found to have a high rate of serious and nonserious side effects while offering little significant long-term improvement in psychopathology. That was the finding from a study of safety and long-term effectiveness of four commonly prescribed atypical antipsychotics—aripiprazole, olanzapine, quetiapine, and risperidone—that was published online yesterday in the Journal of Clinical Psychiatry. Patients were followed for up to two years. The results were disappointing. There was a high rate of medication discontinuation before the two years were up, no significant improvement in psychopathology, and a high cumulative incidence of metabolic syndrome and of serious and nonserious adverse events for all atypical antipsychotics in the study. The study included patients with psychosis related to schizophrenia, mood disorders, posttraumatic stress disorder, or dementia, diagnosed using DSM-IV-TR criteria. The FDA has approved the use of antipsychotics for schizophrenia and bipolar disorder, but not for PTSD or dementia; however, many older patients with psychosis related to dementia receive off-label prescriptions for atypical antipsychotics. Study author and APA President Dilip Jeste, M.D., emphasized that the study results pertain to long-term safety and efficacy, not to short-term use. “In some cases, such as dementia patients with severe psychotic symptoms, short-term use of antipsychotics may be the best option,” Jeste told Psychiatric News.He is Distinguished Professor of Psychiatry and Neurosciences at the University of California, San Diego School of Medicine. Jeste said the study results indicate that great caution should accompany long-term use, particularly for off-label indications. He urged clinicians when possible to consider psychosocial treatments that have been found useful for psychosis related to dementia. "When these medications are used off-label, they should be given in low dosages and for short durations and their side effects monitored closely," said Jeste. "Clearly, there is also a critical need to develop and test new interventions that are safe and effective in older people with psychotic disorders."